If you have a query you cannot find an answer to below, please email the Show Office – info@romseyshow.co.uk or call 01794 517 521. Q. What time does the show open? The Show is open from 8am to 6pm. Please note – visitors are not permitted to access the showground until 8am at the earliest. Tickets are available in advance at a discounted price and can be purchased online, from our Ticket Outlets and the Show Office. Advance tickets are non-refundable and in the event the Show is cancelled the management reserves the right to not refund. Tickets will also be available from the ticket cabins at the main entrance on show day. Q. Who do I contact if I am experiencing issues with purchasing online e-tickets? Q. Who do I contact to hire a mobility scooter? To book a mobility scooter contact Wheels For Freedom (Poole Shop Mobility) on 01202 670 450 or via their website www.wheelsforfreedom.org.uk. We recommend booking a scooter as soon as possible, they are get booked up quickly. Q. Is there a discount for group bookings? An additional 10% off on 20+ tickets purchased. An additional 20% off on 40+ tickets purchased. All tickets must be purchased in one transaction. Please contact the Show Office on 01794 517 521 for more information. Please dress appropriately for the weather. 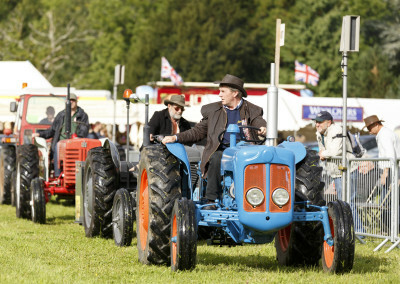 The showground is held on grass parkland, with no hard-surface roads (except within the car park) and therefore we recommend wellies or sturdy shoes. In the event of a warm day, please ensure you use sun block and stay hydrated. Follow our social media for ground updates closer to show day. Q. Can I bring my dog to the show? 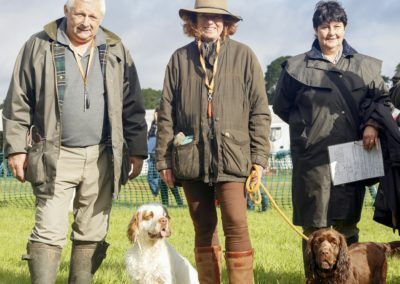 Dogs are welcome at the show, however they MUST be kept on a short, non-retractable lead at all times. Dogs are not permitted in the Livestock areas. Dog friendly facilities are available throughout the showground. Please clear up after your dog. 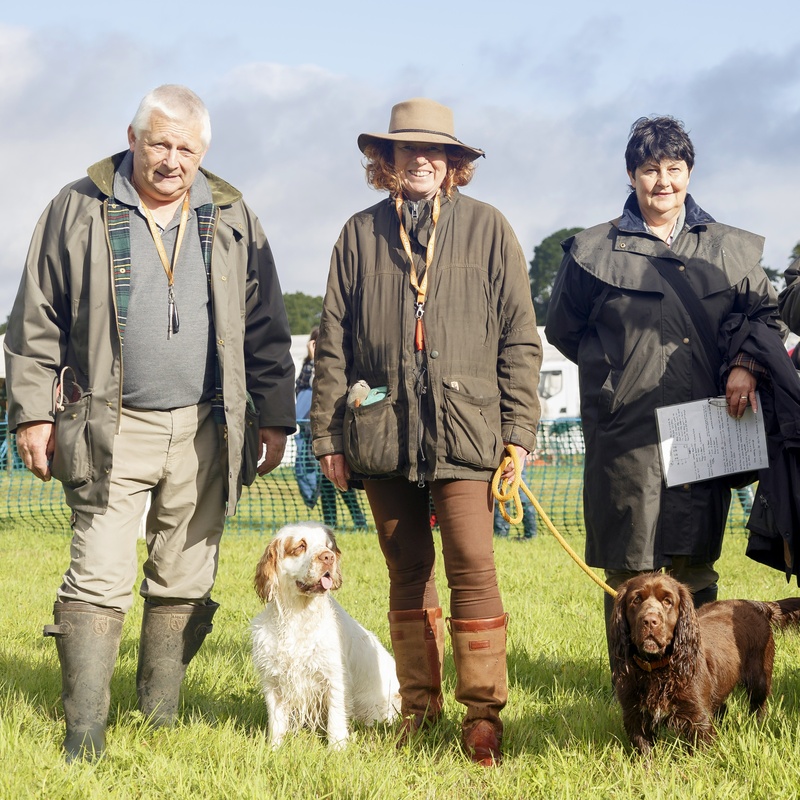 We have a Family Dog Show in our Countryside Ring at 2:30pm on Show Day – enter your dog for the classes by the Countryside Ring. Please remember under NO CIRCUMSTANCES should animals be left in vehicles on show day. There is plenty of free parking outside the main entrance to the showground in the public car park, which is a grass field. We also have dedicated parking for livestock, horses and Trade vehicles carrying stock. 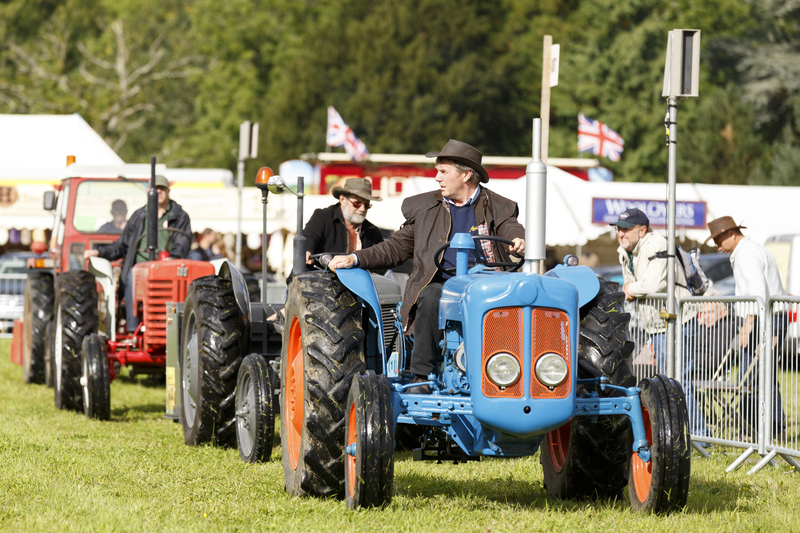 We recommend arriving early, roads around Romsey get very busy at peak times on showday. We thank you for being patient with our Stewards, they are all volunteers. Q. Is there a bus provided from Romsey Train Station? Unfortunately due to changes with the voluntary organisation that have previously provided a bus link between Romsey Train Station and The Romsey Show, we are unable to provide a bus service this year (2018). This will be reviewed for future shows. The route from the Station to the Showground is walk able. Pedestrians should enter the Showground via the pedestrian gate at the Palmerston Roundabout. Q. Is there a disabled parking area? Yes, we have a disabled parking area near the main entrance, available for Council issued disabled badge holders. We recommend you arrive early to ensure a space is available. Please display your badge as you enter the show site and a Steward will direct you to the disabled parking area. Q. I have advance tickets, do I need to queue? If you have purchased your tickets in advance, you do not need to join the ticket queues on show day! Go straight to the main entrance gates, where a volunteer Steward will check your ticket for entry. Q. Do you have parent and baby facilities? Yes, we have a sheltered area for breast feeding and baby changing. This is located on the eastern side of the showground, between our Shopping Marquees and is marked as Baby Chng on the map. ICE cash points are located next to the Secretary’s Tent and opposite the Members’ Area entrance/main rings. Please note, a charge may be levied for this service. Q. Where can we get food and drink? 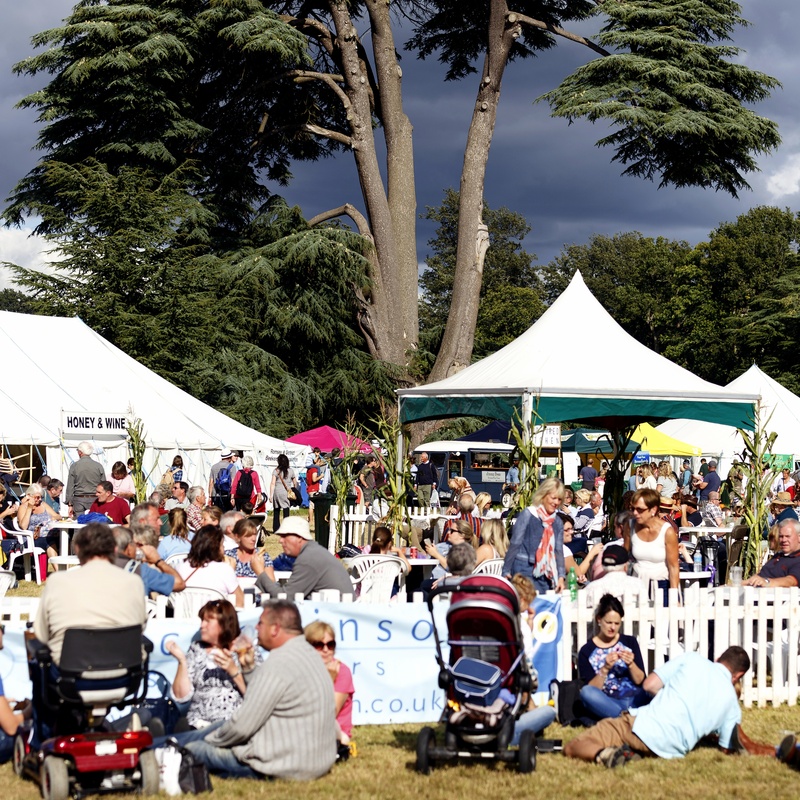 We have several Food Courts around the showground providing a variety of food and drink. Look out for Purbeck Ice Cream, selling their delicious ice creams too. All Food Courts are identified on the “You are Here” Boards across the Showground. 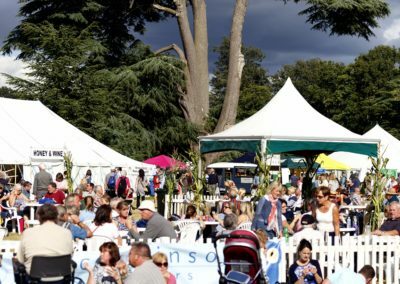 We also have a dedicated Food Zone (to the right of the main entrance as you come into the show ground), the majority of the traders in this area are selling local or artisan produce, including vegetarian and gluten free options. Once you’ve got your food and drink, take a seat in the picnic area and enjoy the band. Q. Where can I buy a show guide? Show Guides are available on Show Day only from our Show Guide Vendor opposite the main entrance. The guide is £3 and includes timetables for the rings and a map of the showground. There is also detailed information on all our main events.